MANILA, Philippines — If there is one thing that can be said about the Lexus RX 450h, it’s that it combines the flexibility one looks for in an SUV with the comfort of a sedan — and how. Since the RX was launched in 2009, the Lexus RX has proved to be an immensely flexible sport-utility vehicle combined with the driving comfort of a luxury sedan, all wrapped in an attractive, elegant package. The RX’s mix of sharp creases and curves represents bold styling, sharing the same design DNA with other models in the Lexus line-up. Moreover, this luxury crossover carries gasoline and hybrid powertrains, and sophisticated safety technologies. It also carries convenience and technology features to make this one of the best Lexus sport-utility vehicles offered. It’s got the looks. If there is one thing that I have learned in my years writing, reviewing, and using the newest techie gadgets — looks are a must. And the Lexus RX450h is no exception. 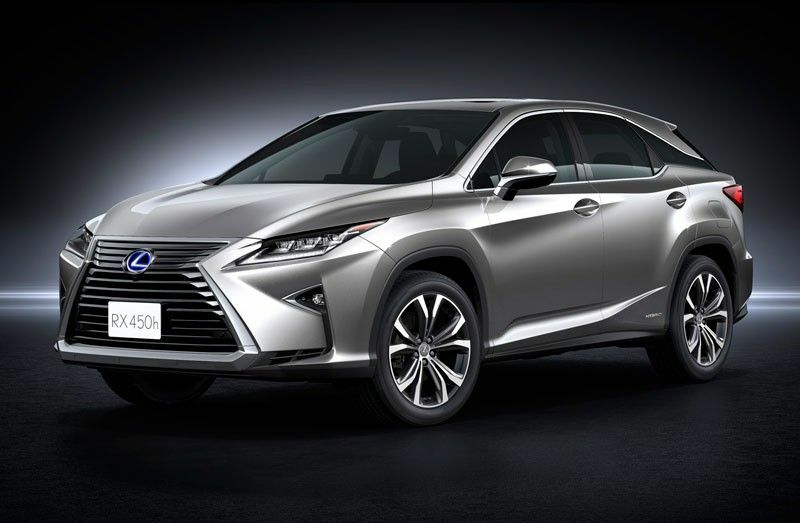 The front view of the new RX is characterized by an emboldened version of the Lexus brand’s signature spindle grille, featuring a chrome-plated border and triple L-shaped LED headlamps. The available L-shaped LED headlight is accompanied by 18 individual LEDs that surround the headlights and not only act as turn signal indicators, but also illuminate sequentially from the inside section of the headlamp toward the outside when the driver activates the turn signal. The spindle design theme of the front of the RX also defines its rear design, providing a high level of aesthetic balance and consistency to the vehicle’s overall demeanor. The LED rear combined with the L-shaped taillights envelope the tailgate while wrapping forward around the rear fender sections, resulting in a powerful and wide stance. Of particular note are the blacked-out C-pillars, which provide a floating-roof effect. The Lexus RX features a highly scratch-resistant self-restoring coat in the body paint, which uses a high-performance macromolecular polymer. The high elasticity of the material helps to improve scratch resistance, such as from car washes or fingernail marks around the door handles, and it possesses a high level of gloss retention that helps to improve the initial gloss and color of the paint over a long period of time. There are over 1.3 million hybrids sold globally and counting. Lexus leads the world in more ways than one. A pioneer in hybrid technology, Lexus offers the world’s most extensive range of premium hybrid electric vehicles to suit consumers’ discerning taste and varying lifestyles. The Lexus Hybrid Drive, a full hybrid system that combines the driving performance of a gasoline engine and the fuel efficiency of a self-charging motor, powers each one of them. And you will be amazed by how quiet the hybrid engine is when one sits at the cockpit. 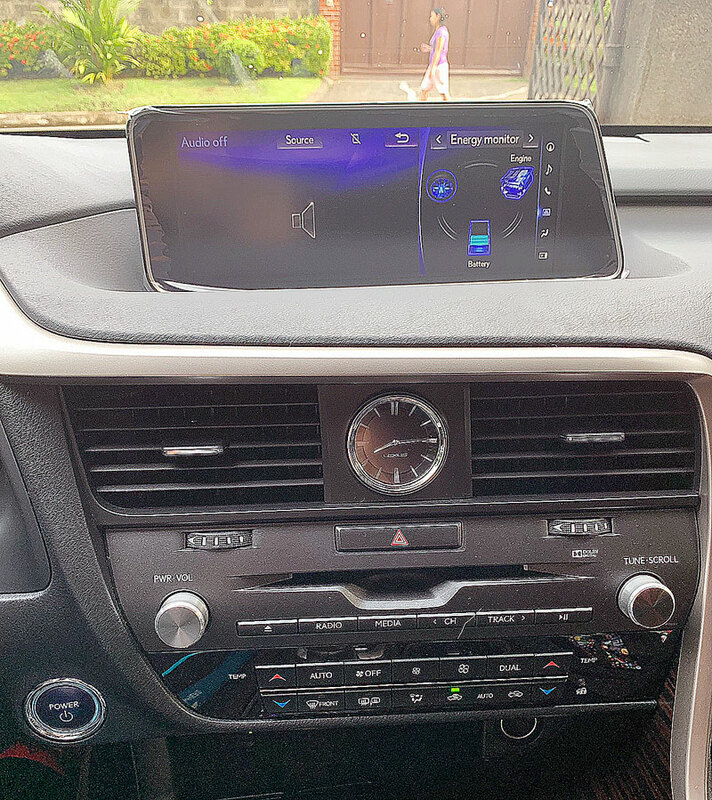 There were many times that I had though the Lexus was not started because of the way the technology works and how silent it keeps the inside of the SUV. The concept of Lexus Hybrid Drive has been a core technology in Lexus for many years. In 2004, Lexus became the first premium carmaker to perfect the full hybrid technology with the RX400h. As the world’s first luxury hybrid SUV, the RX changed the way consumers thought about environmentally friendly cars. It’s self-charging — Lexus Hybrid Vehicles are self-charging, so they never need to be plugged in. Energy is carefully conserved and recovered through our state-of-the-art regenerative braking system. This means that every moment— when you move, slow down, or brake— your battery automatically charges throughout your journey. And it keeps you abreast of the charging that is happening though a screen located just in sight of the driver. It’s efficient and economical — Lexus self-charging hybrids use fuel only when they really need to. A hybrid vehicle has two power sources— a gasoline engine and an electric motor. In a full-hybrid system like the Lexus Hybrid Drive, it seamlessly switches between two power sources, or combines both, in any given time. Our advanced Lexus Power Control Unit intelligently monitors driving conditions so you can enjoy optimized performance and fuel-efficiency. So, what can a tech-lover like me say about the technology that runs the Lexus RX450h? Well, it’s ever-reliable come to mind. That’s because these self-charging hybrid systems are designed to be as reliable as traditional power sources. The battery in a Lexus hybrid can power the vehicle at low speeds without any gasoline support — and that could only mean savings and less damage to the air we breathe. On top of that, they are exceptionally durable. In fact, each hybrid battery is designed to last the life of your vehicle. But to ensure peace of mind, your battery is warranted for five years. The wonders of technology are well combined in the ever-road worthy Lexus RX450h making driving it a tech wonder.